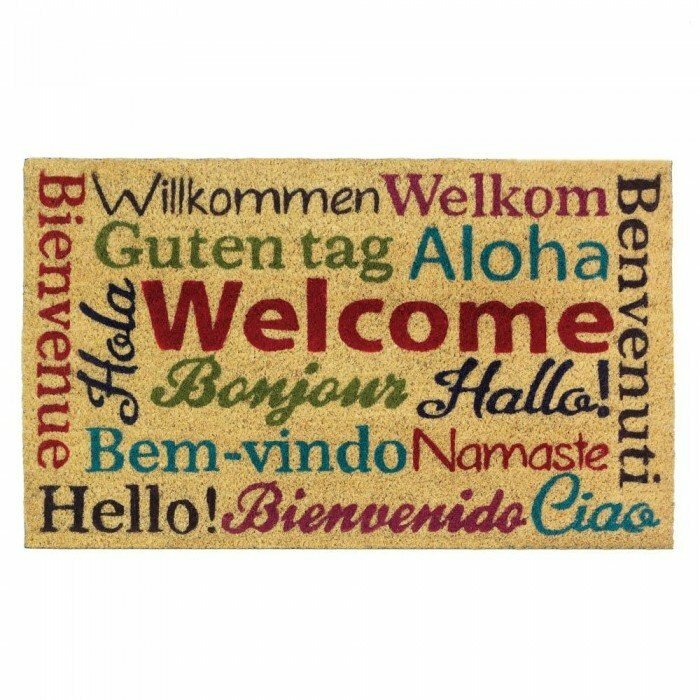 MULTI-LINGUAL WELCOME MAT by Summerfield Terrace home decor, jewelry, decor, decorations, electronics, fountains, floor mats, art glass, vases, garden essentials, fireplace screens. Welcome your guests in a variety of ways with one functional door mat! This fun coir welcome mat traps dirt and debris and says "hello" in several languages and colors. Material(s): COIR PVC. Weight 4.4 pounds. Dimensions 30" x 18" x 0.5"